Retirement Facility Hottingen Signage | Shelby White - The blog of artist, visual designer and entrepreneur Shelby White. 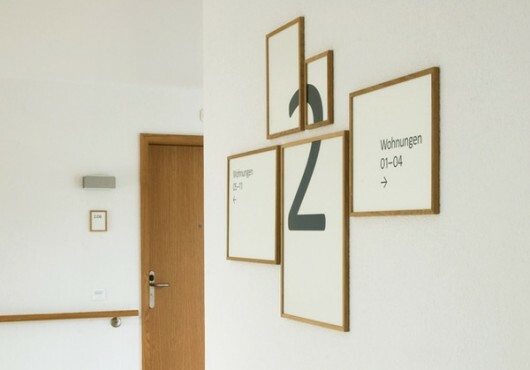 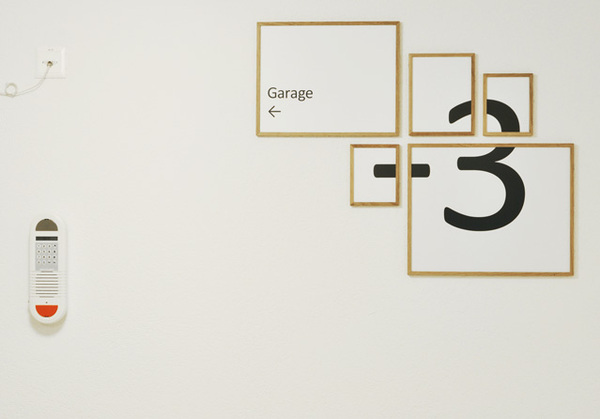 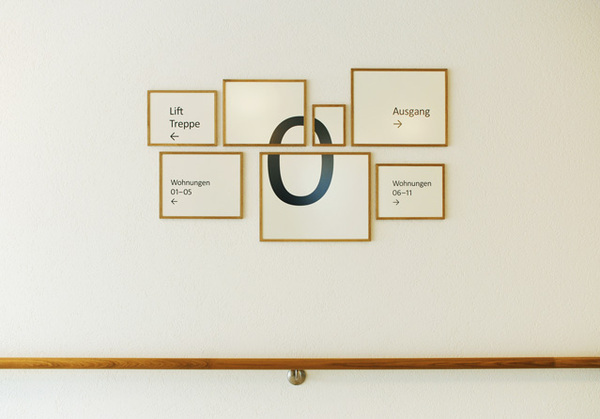 Designers Aline Dallo, Julia Kind, Kathrin Urban and Tina Stäheli worked together to create this signage project for a retirement home in Hottingen, Zurich. 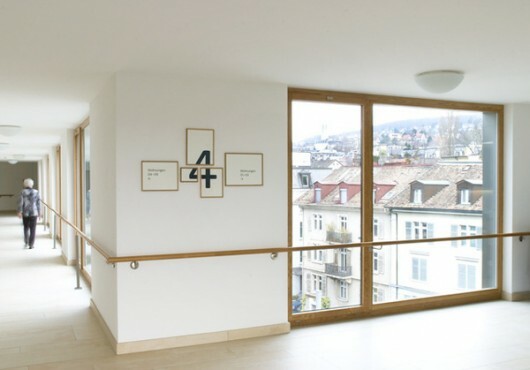 The signage system consists of a series of frames that can be ordered in various ways. 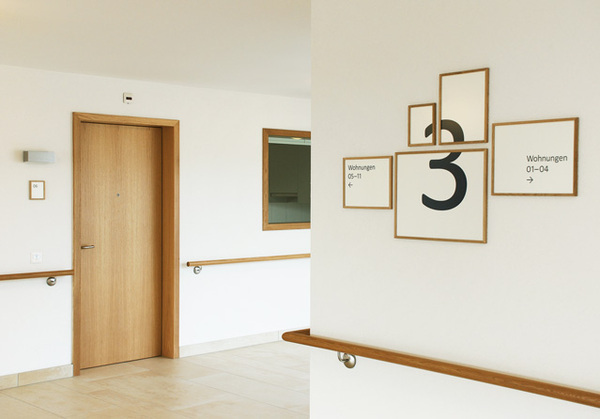 The combination of color and large type really sells this as a welcoming solution for this project. 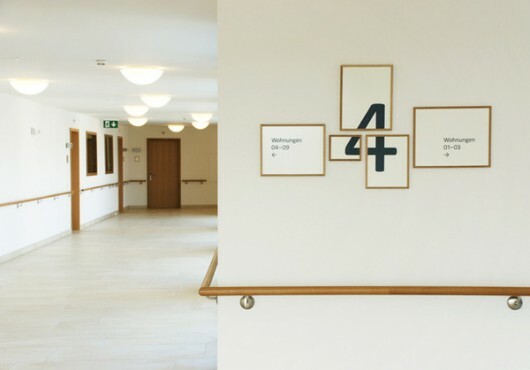 great looking, but for a retirement home the frame separation adds more visual confusion for a community of people with waining eyesight. 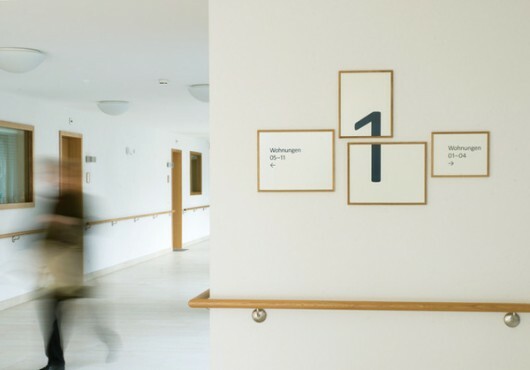 I really like this type of signage, you don’t see this very often!